Within Teamwork Projects, you can update the details of a risk entry at any time. 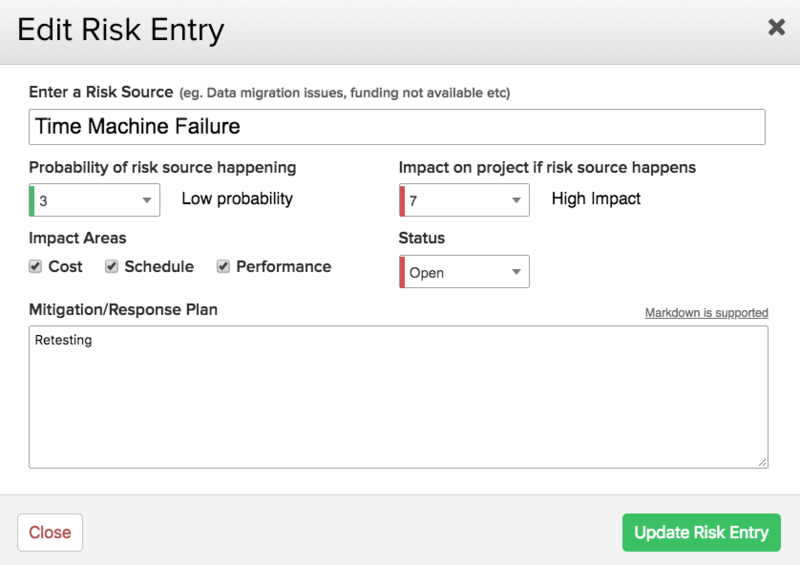 In the Risks area of your project, hover over the risk entry you want to update. When you hover over the risk entry, you will see an edit pencil option to the far right, beside the risk's status.